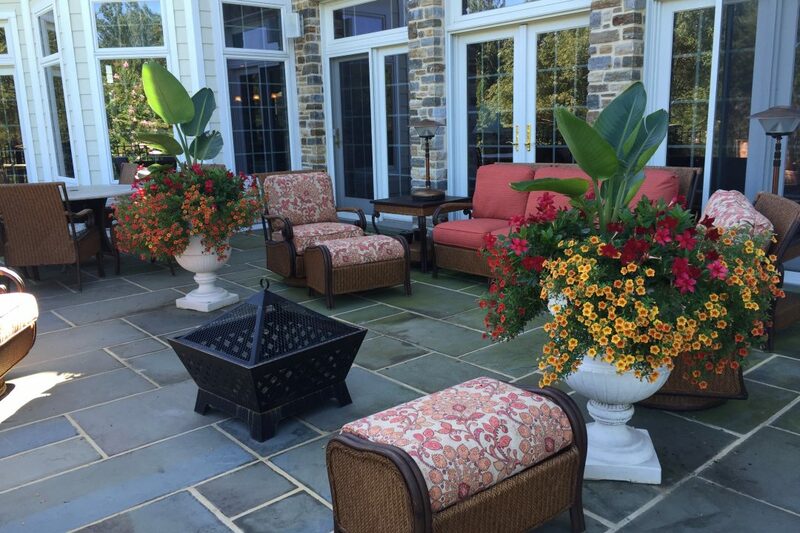 In addition to our beautiful landscaping, walls, patios and gardens, we also offer some very special services that truly make us stand out. 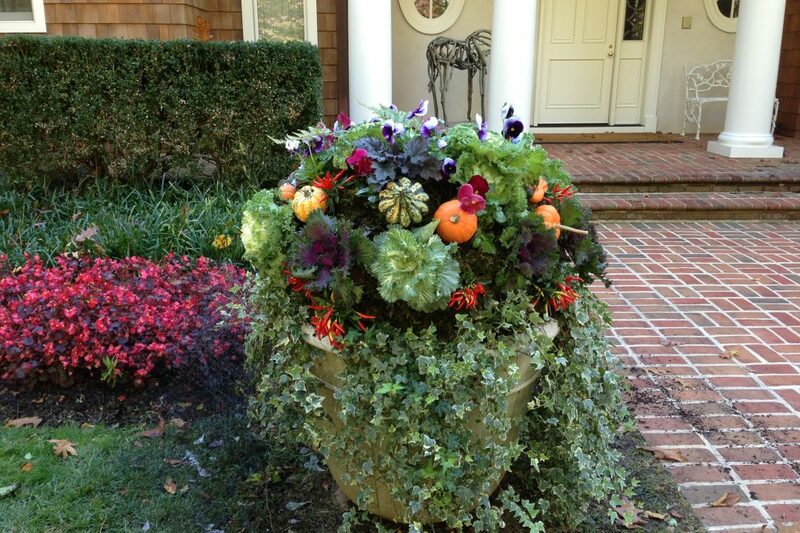 We have become quite renowned for our unique topiaries and colorful containers, that we can customize to offer something in every season. 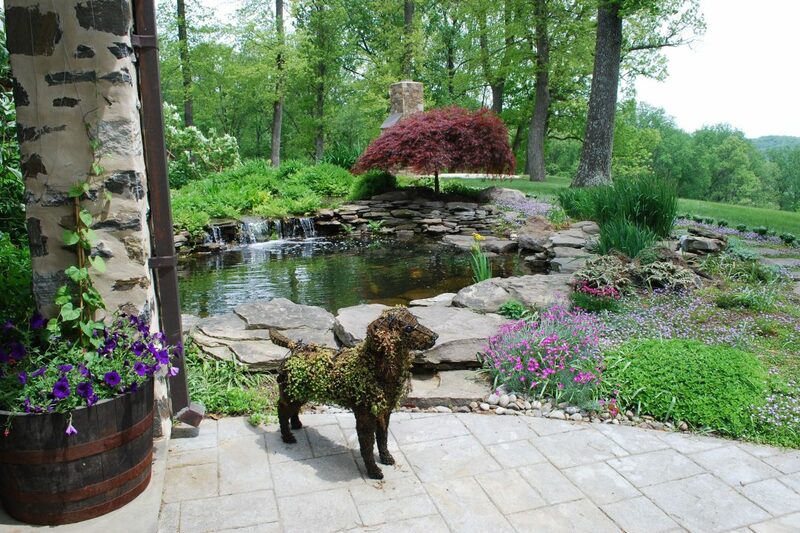 Our dynamic and striking water features create calming sounds and a peaceful space in your yard. 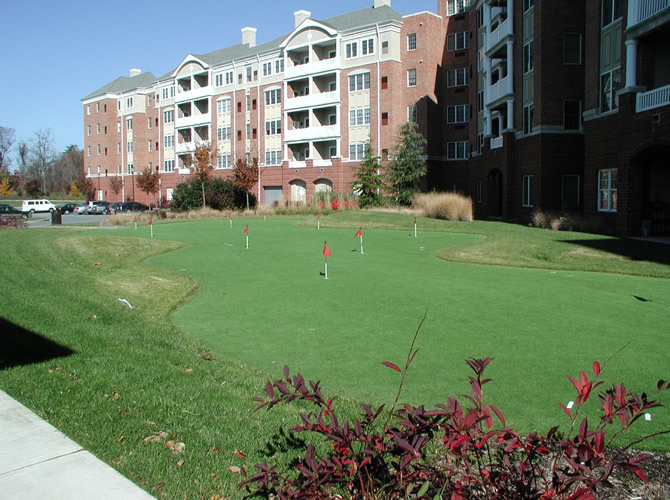 We design and install synthetic putting greens for you to practice your shot or play a few rounds with friends. 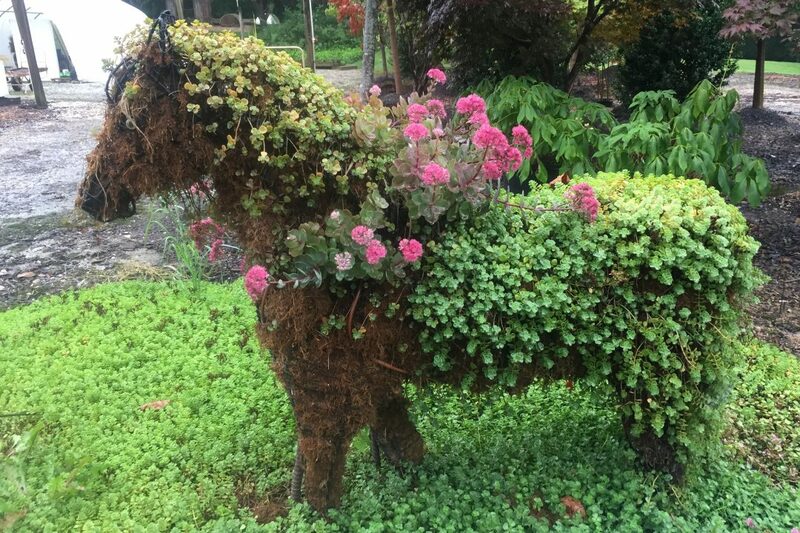 Marion Mullan has been experimenting with topiary forms, growing them in the nursery for the past few years, adding a bit of whimsy to many of our landscape projects. 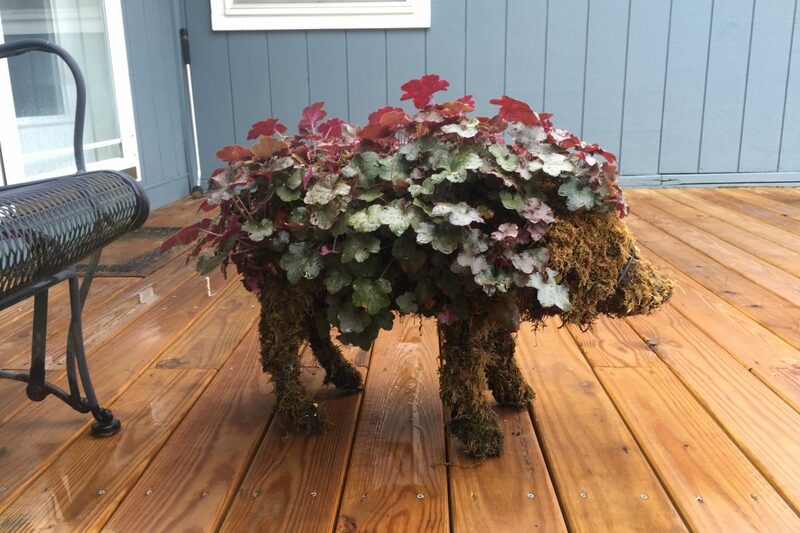 We’ve created alligators, pigs, horses, turtles, rabbits, chickens, even sea monsters– we’ve tried many different forms, different plantings and learned a great deal from each one! 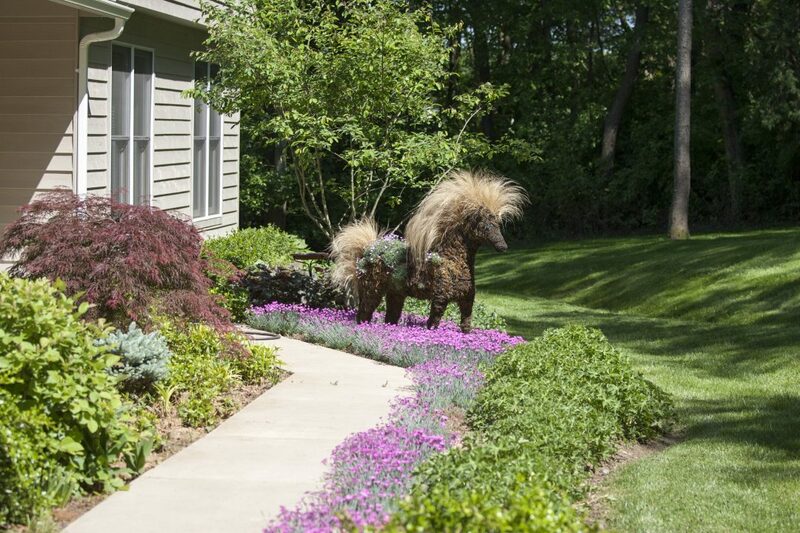 One of our clients has four in her poolside landscape. She wanted something fun for her grandchildren to remember! 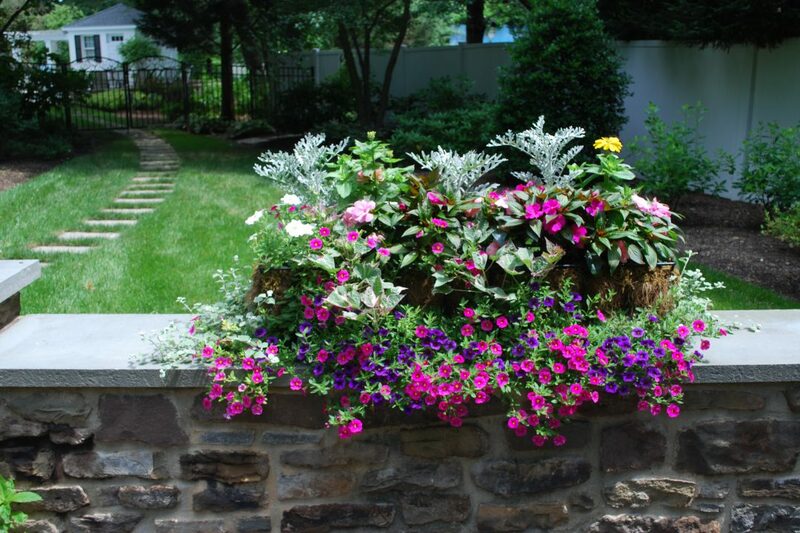 We use a combination of hardy perennials and annuals. 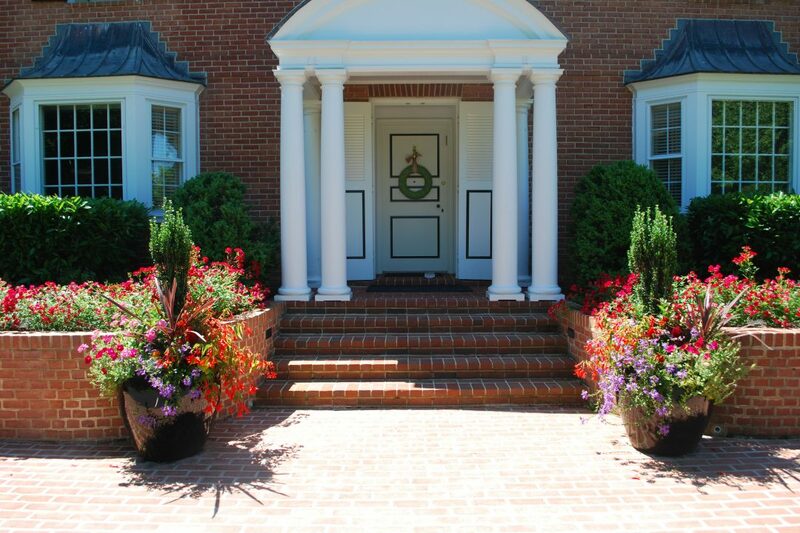 As an added service, we can pick up your topiary and store it for the winter and replant it again in the spring. 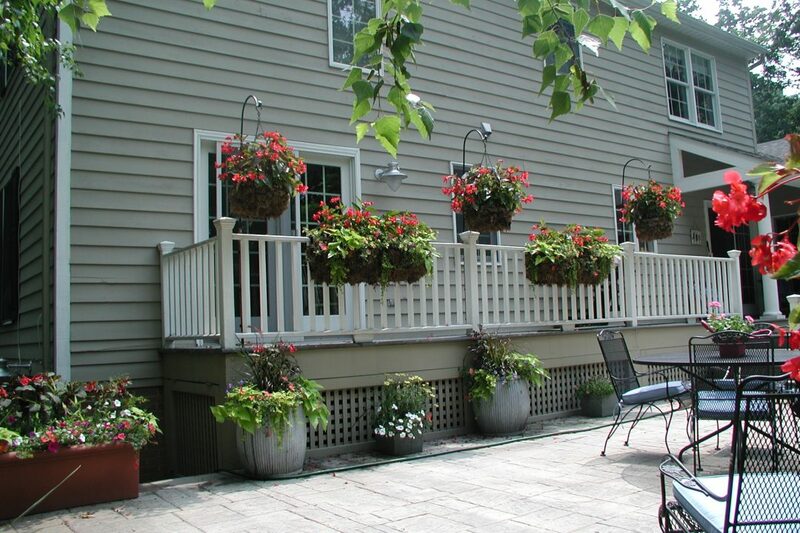 We also plant lovely, colorful containers for our customers that look great on the deck or poolside. 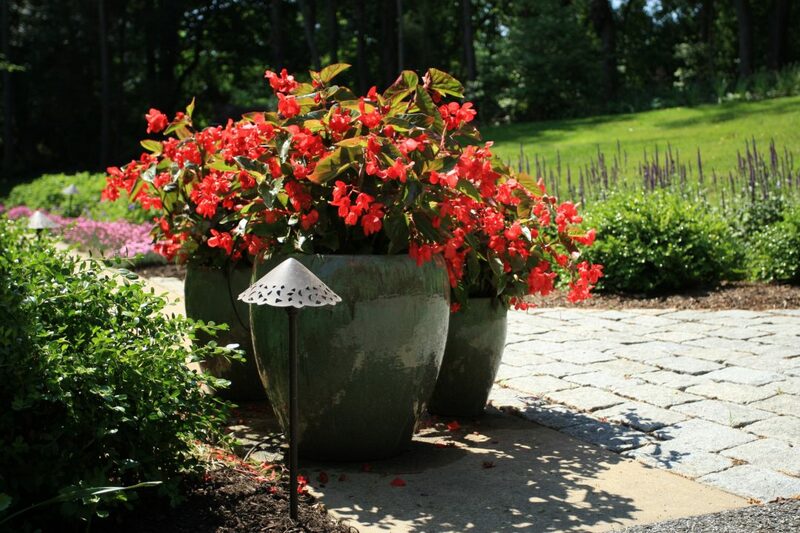 We specialize in four-season plantings and combinations for color and texture all year long! 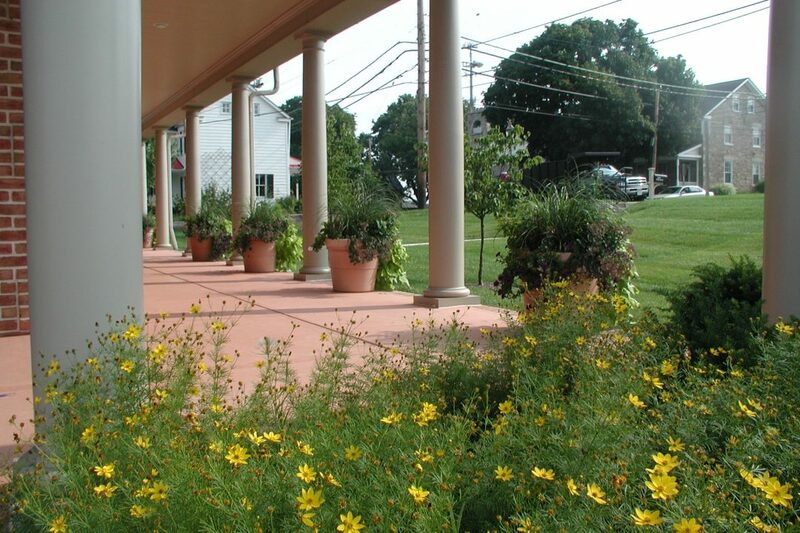 In addition to perennials and annuals in pots, we can plant vegetables and herbs in containers for your patio– edible gardens right outside the kitchen door! 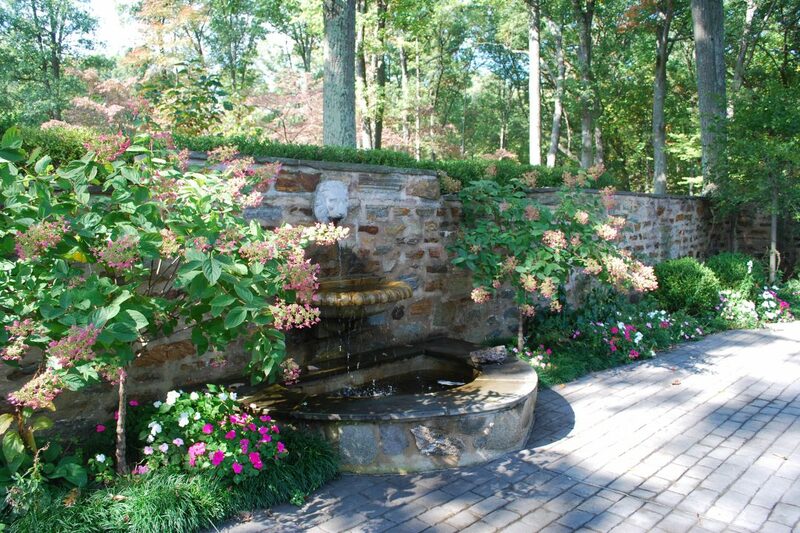 The addition of a water feature to your landscape is a tremendous asset. 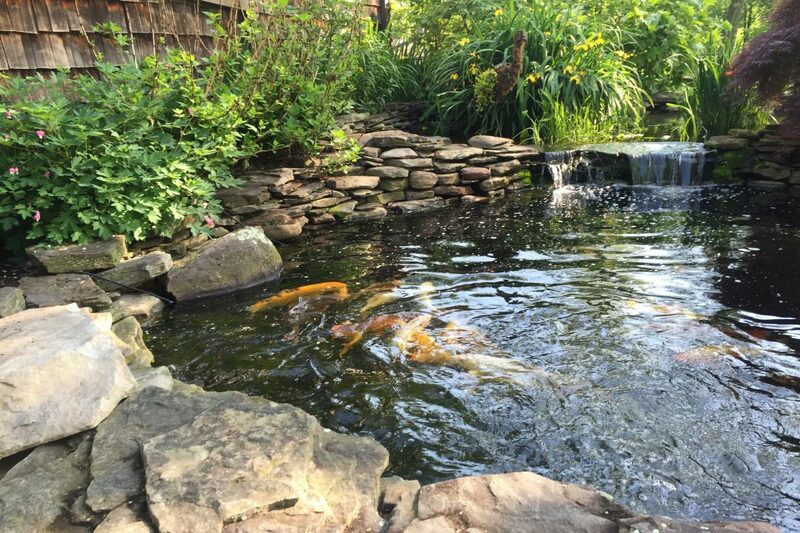 Whether it is a still, peaceful koi pond or a bubbling waterall over stone into a pool, water adds exactly the right element for the many different moods an artfully-landscaped space can inspire. 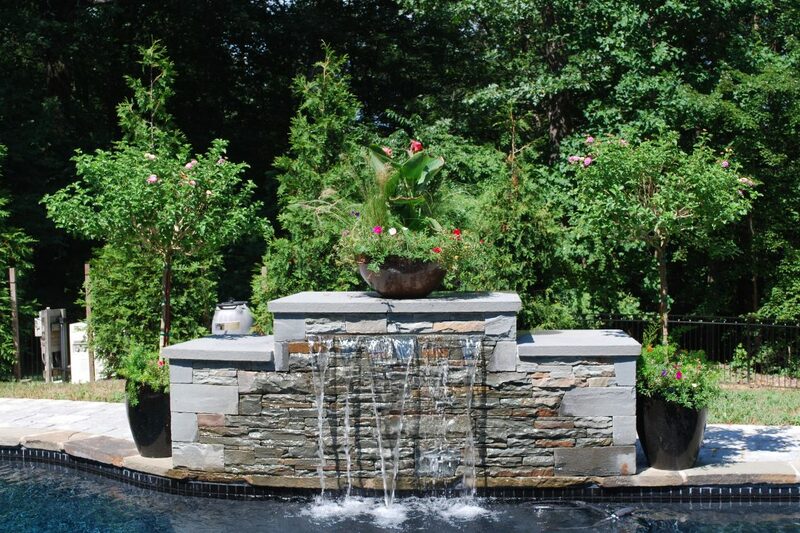 With the wide range of options available, adding a water feature can be accomplished in even the smallest of garden areas and still have a dramatic effect. 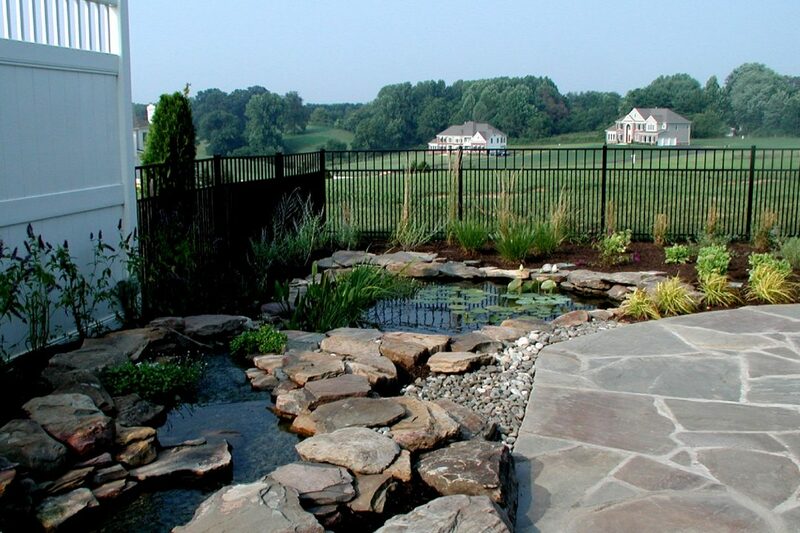 Mullan has over 30 years of experience adding such features to landscapes, including ponds (both formal and informal), waterfalls, poolscaping, fountains and small potted features. 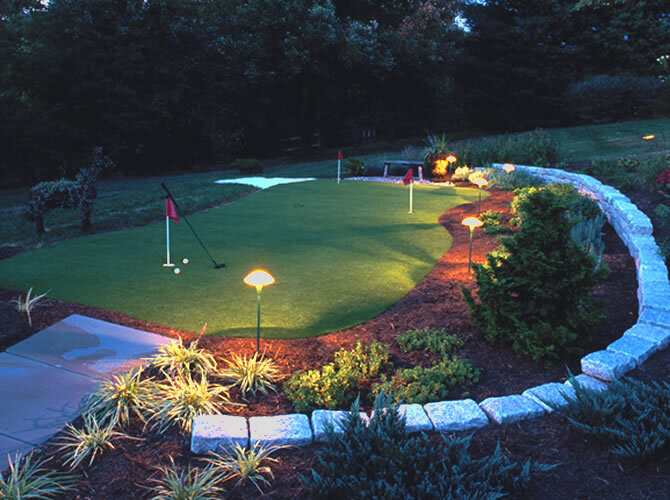 Your own putting greens– bring your clubs! 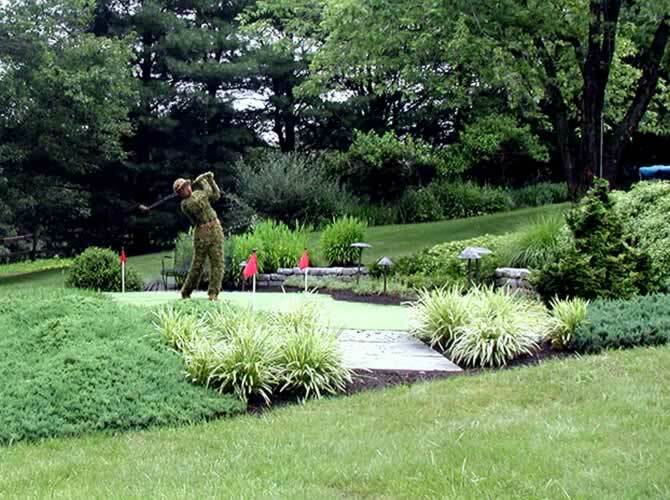 What a fantastic addition for someone who plays golf. All the fun (and practice!) 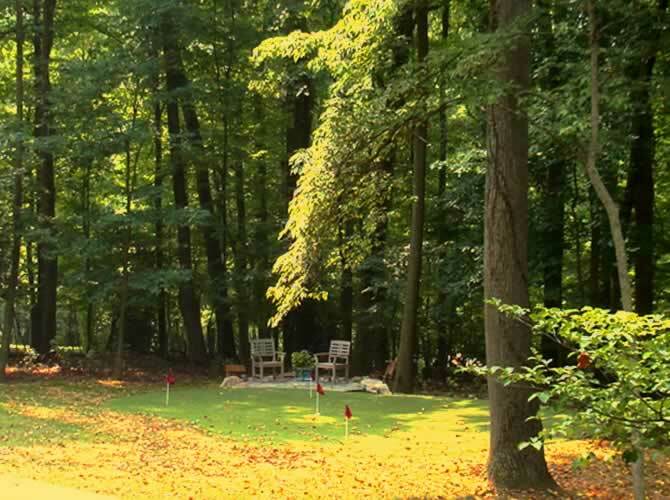 that a backyard putting green can offer, without the upkeep and expense of natural turf. Synthetic putting greens simulate a natural grass putting surface– an attractive and low maintenance alternative to the standard grass greens. We have a wide variety of styles and sizes from which to choose, or create your own custom green! We also have a selection of golfing accessories. 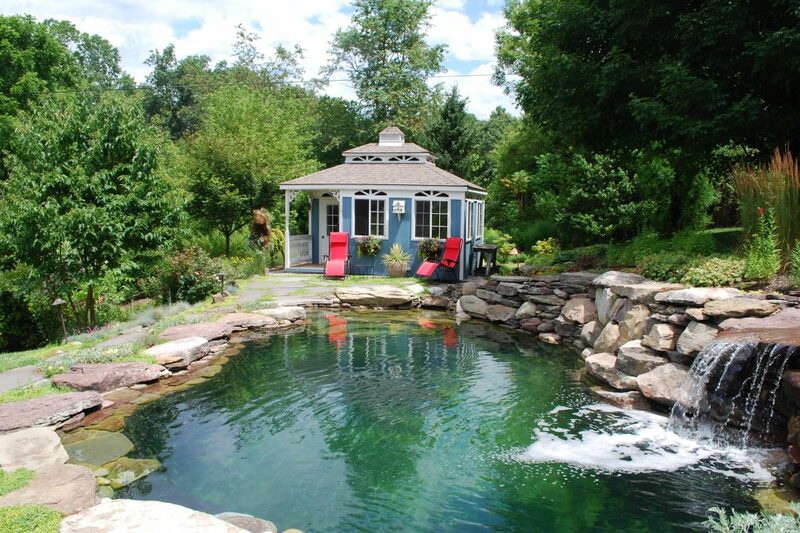 Practice in your space –no fees at the club!